SG Food on Foot | Singapore Food Blog | Best Singapore Food | Singapore Food Reviews: Lynnette's Kitchen Private Dining - Taste Of Refinement In Peranakan Food. 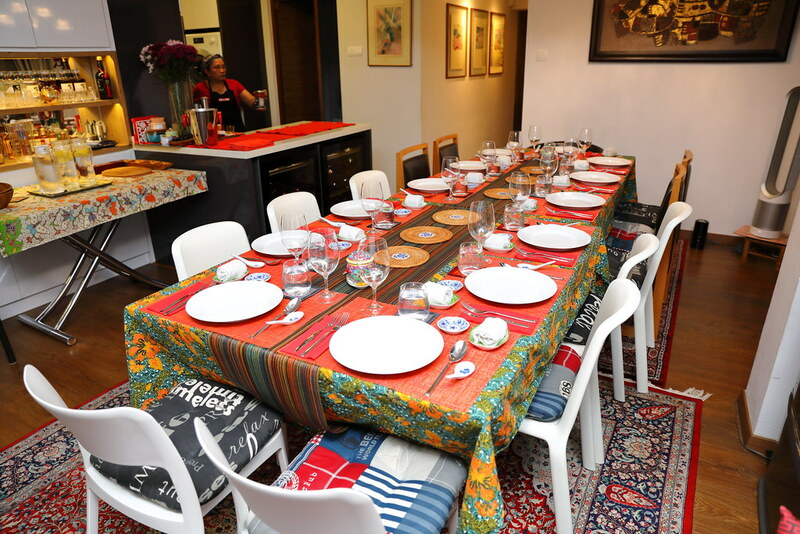 Lynnette's Kitchen Private Dining - Taste Of Refinement In Peranakan Food. Our private dining adventure continues with Lynnette' Kitchen at her HDB flat in Tiong Bahru area. 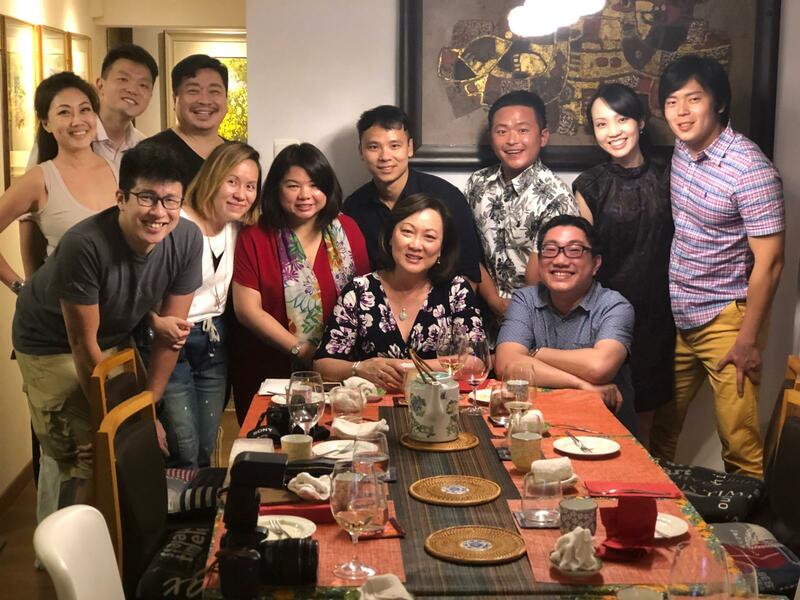 Lynnette Seah is probably one of the pioneer in the private dining scene before the private dining scene starts booming. She may be better as an internationally acclaimed Singaporean violinist and the recipient of the Cultural Medallion for Music in 2006. 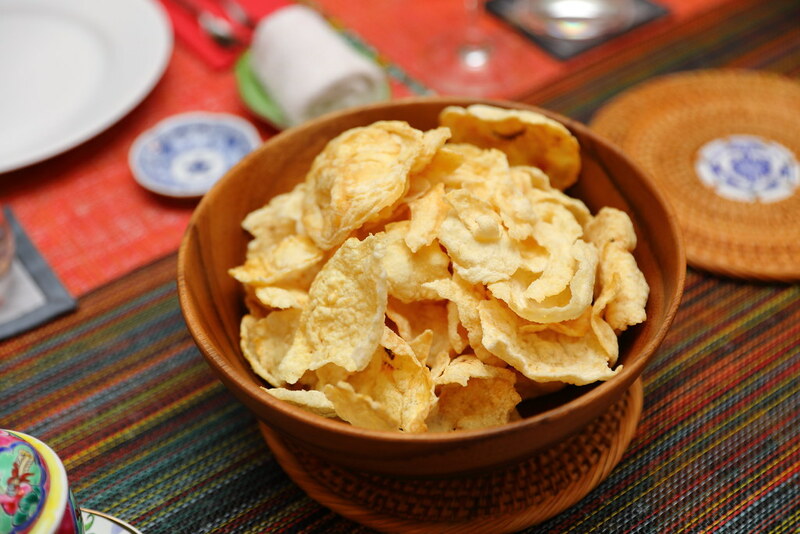 Before starting on our meal, we are served some Keropok and Homemade Belachan to snack with. Dinner started with a bowl of Bakwan Kepiting Soup. The meatball is firmer with tougher texture. I would prefer it to be looser. The proportion of the meat and crab ratio has more pork than crab too. On the other hand, I like the bamboo shoot and radish in the soup for a light and refreshing finish. Catching my attention is the hugemonous Sri Lankan Crab that has been separated from the beehoon after cooking. 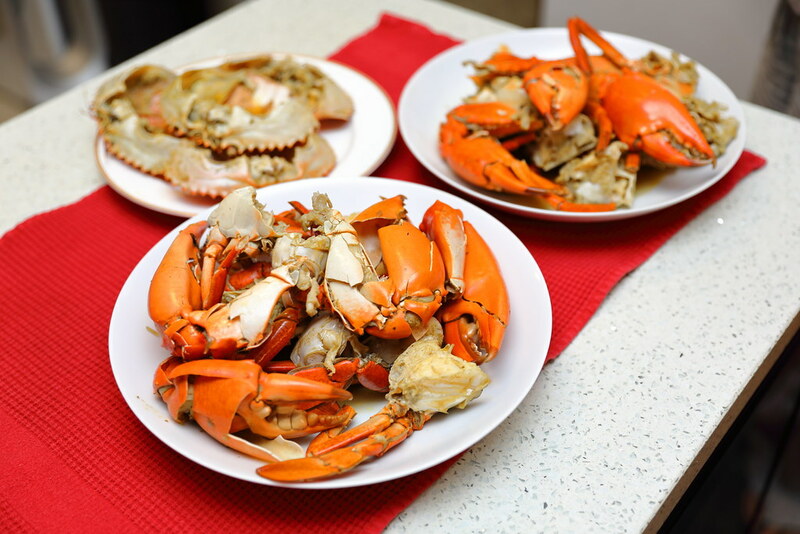 The crab itself is fresh and sweet but the highlight has to be the bowl of slurping goodness packed with rich flavour of the crustacean. 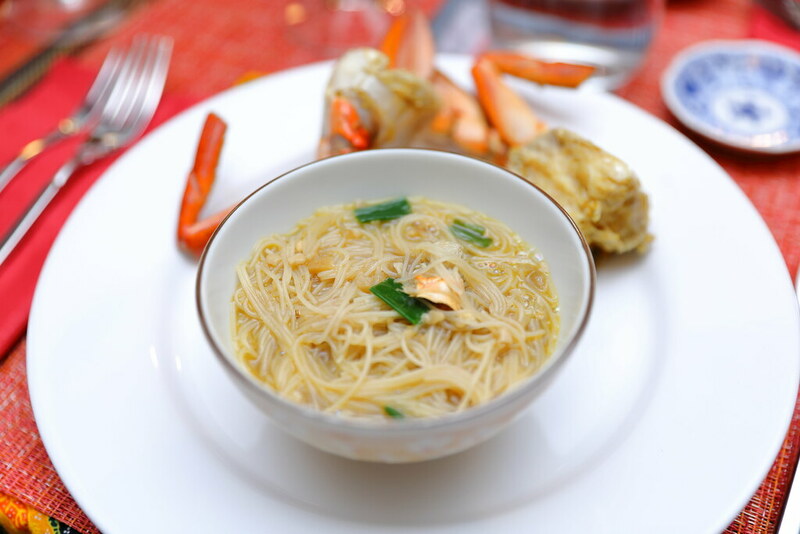 The beehoon is very delicious soaked with the richness. My favourite dish is the Assam Pedas Snapper Fillet with Honey Pineapple. Buried under the pool of redness is tender snapper fish fillet and honey pineapple. 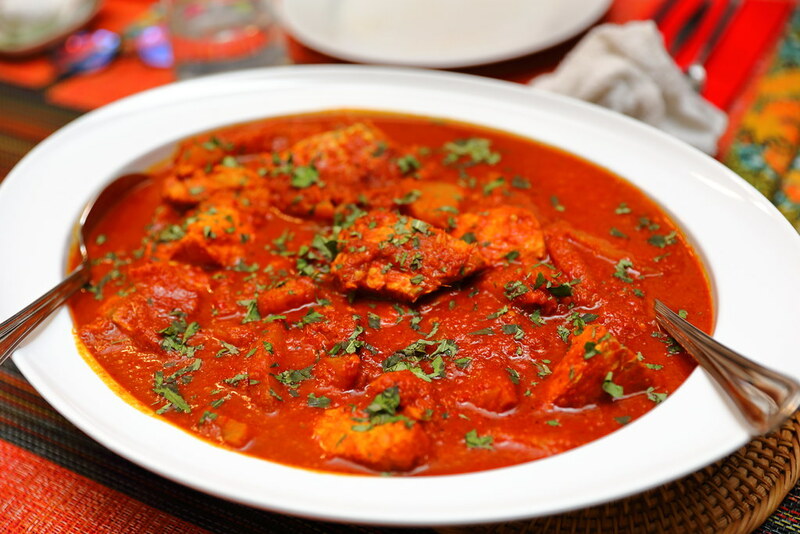 The clever recipe uses the sweetness of honey pineapple to create the harmony against the hot and fiery chilli. This dish sings for me. Another well cooked dish the Chap Chye that comes with cabbage, tofu, black fungus, tang hoon, carrot, lily stems and mushrooms. I appreciated that fact the vegetables still retained a crunch to it, not too soft. 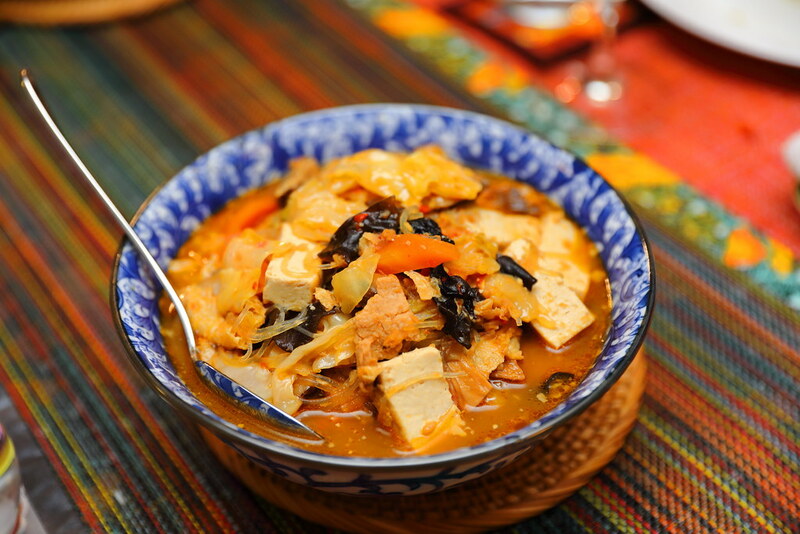 Lynnette's version also has a more distinct taste of the fermented beancurd which I enjoyed. 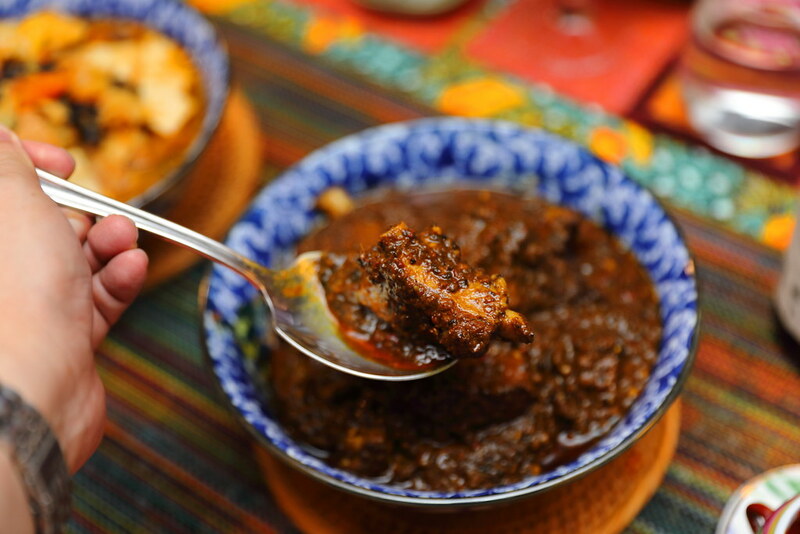 Instead of the using chicken, Lynnette uses Prime Pork Ribs in her Buah Keluah dish. I am not a big fan of ayam buah keluah as I find the chicken always ended up being dry. Hence the prime pork ribs version is a good chance, with fall of the bone meat. 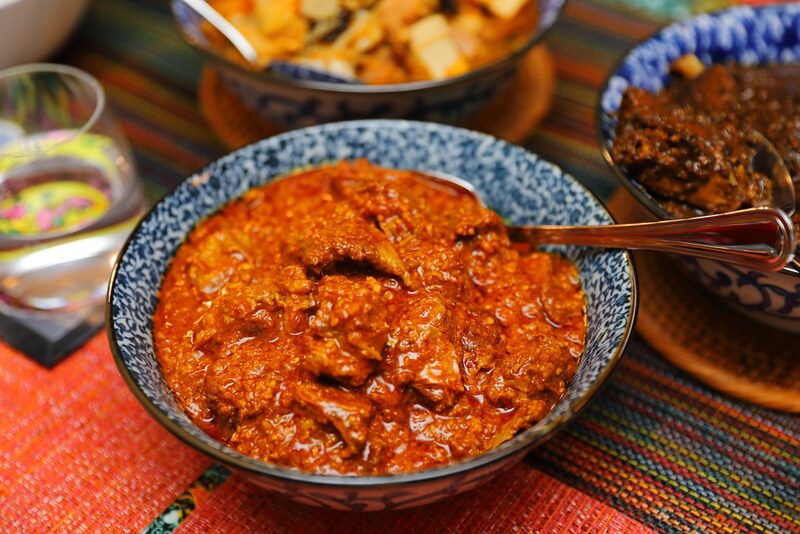 The soul of a good Beef Rendang has to be the rempah and this definitely stole my soul. Unknowingly, I was drenching my rice with the gravy and enjoying the tender beef with my plate of rice. 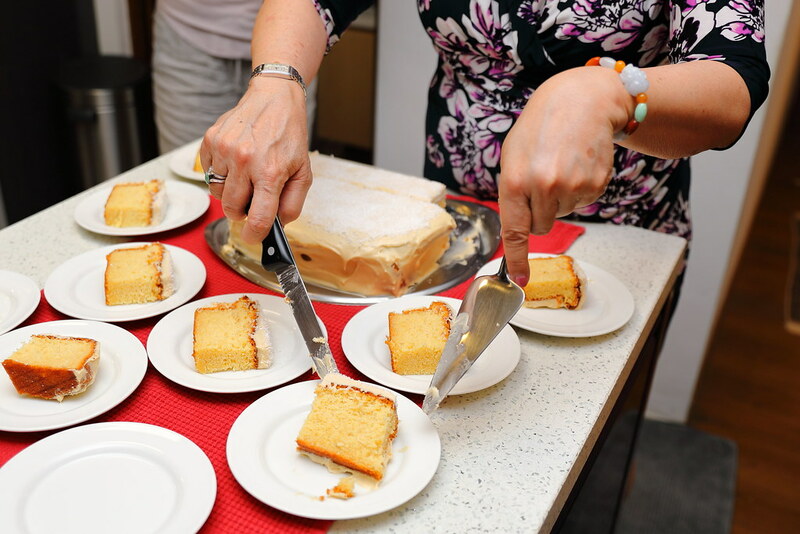 Even before my visit, I have already heard some much about Lynnette's sugee cake. I understand that if it is not an easy cake to bake. If done wrong, it can be very dry and crumbly. For dessert, I am glad that I get to try her famous Sugee Cake with Gula Melaka Cream Cheese Frosting. 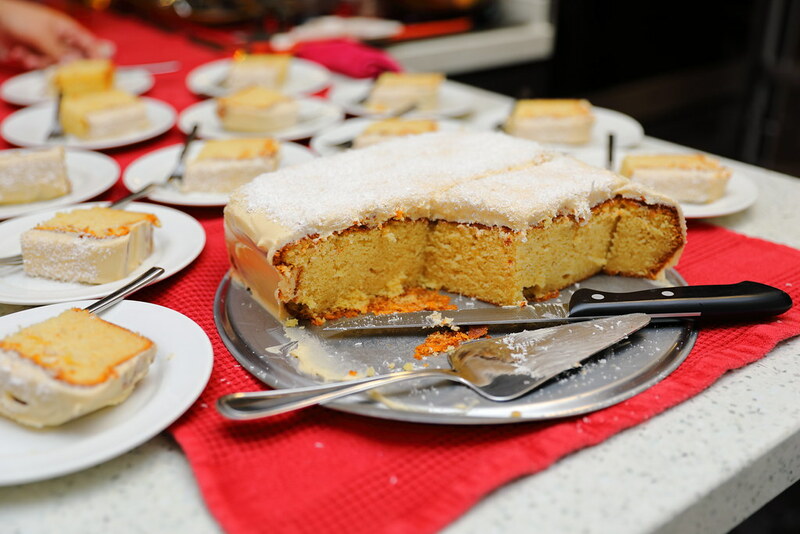 It is another smart recipe to pair the sugee cake with the gula melaka cream cheese frosting, which lifted the whole enjoyment of the cake. Diner at Lynnette's Kitchen is not cheap. It costs $120 per pax. In fact, most of the private dining places I have visited have increased their prices recently too. It now average around $100 per pax to dine at someone's home. 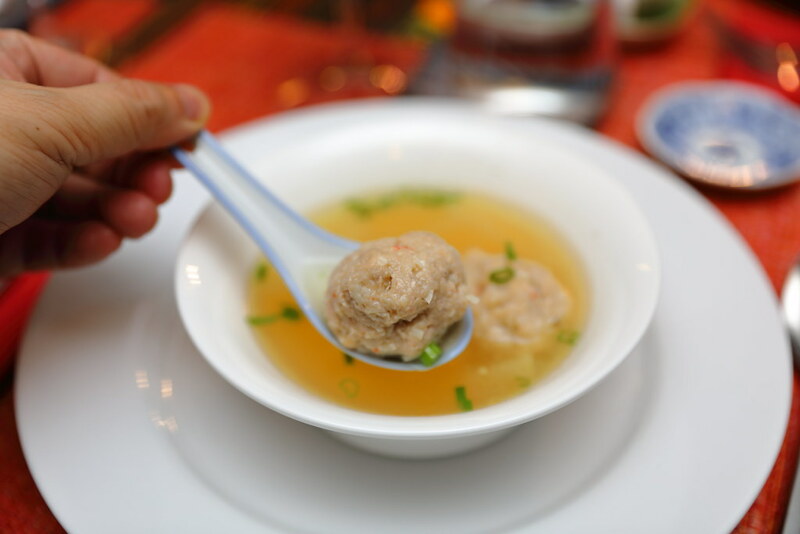 Back to Lynnette's food, I find her dishes are more refine than the other peranakan private dining places I have visited, she has fine tuned her recipes until they are perfect. 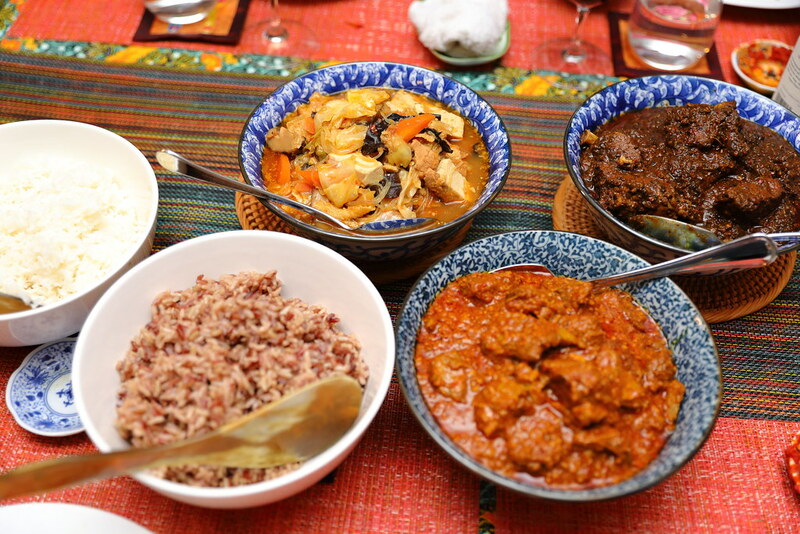 Unlike other places, she also has a wide selection of dishes which you can pick from her website. One difference from other private dining places is the host actually joins us for dinner, while others are busy in the kitchen cooking. But don't get me wrong, she is a great host and we enjoyed the conversation over the food and drink.